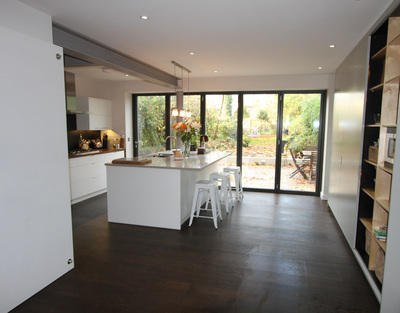 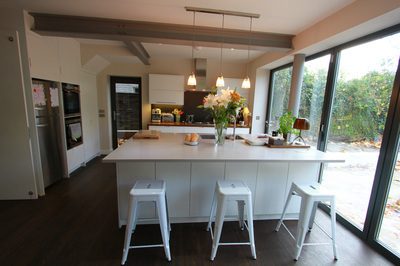 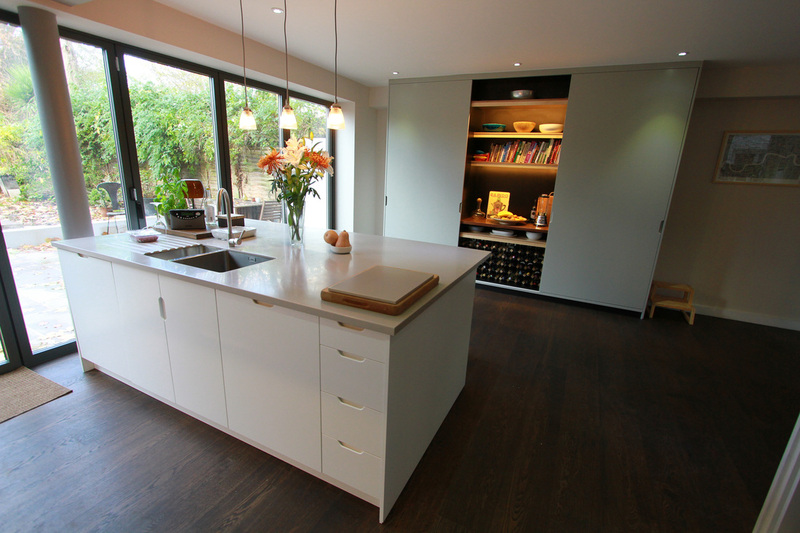 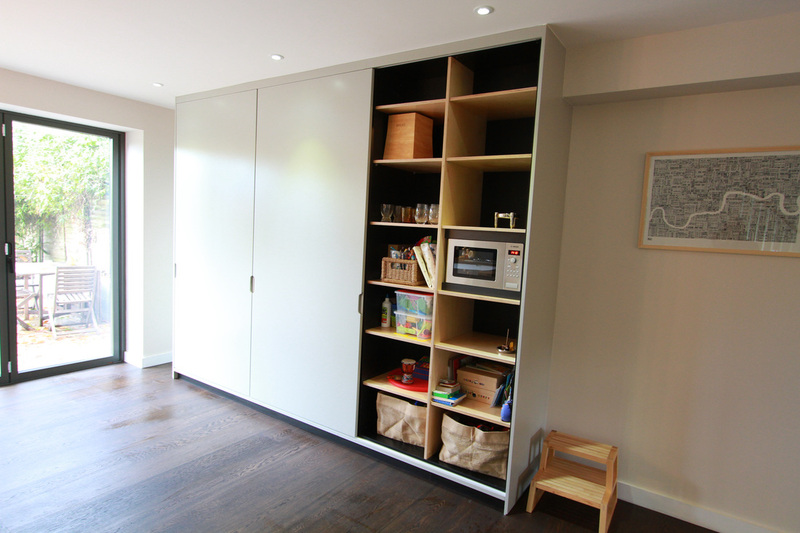 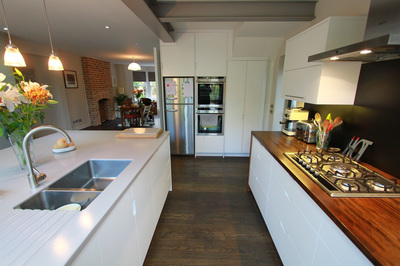 This family kitchen was built to enjoy the open plan space the back extension had provided. Enjoying the large foldable doors, the large cabinet and island work so that for this family, a person can cook and use the sink in an area where both are within easy reach. 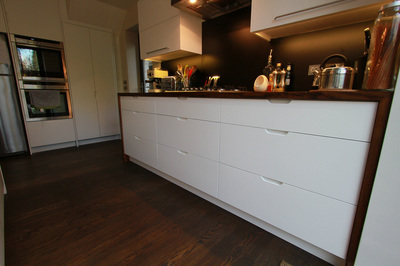 The large cabinets make efficient use of the high ceiling. 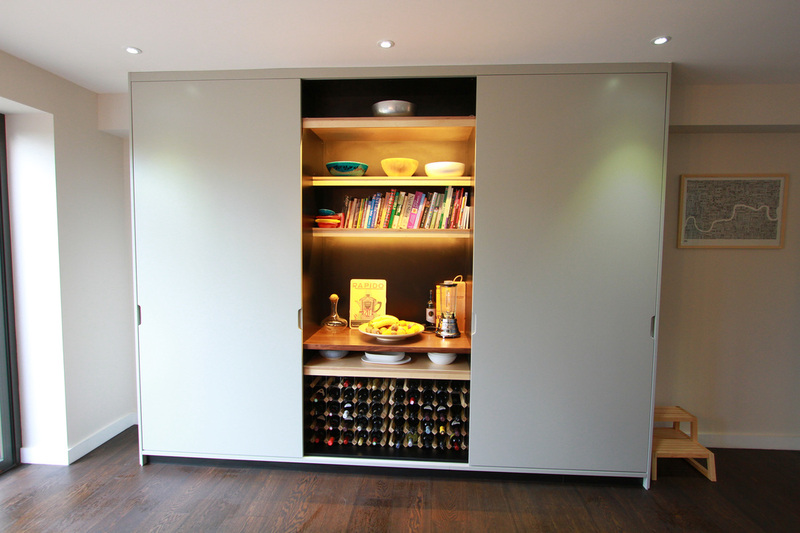 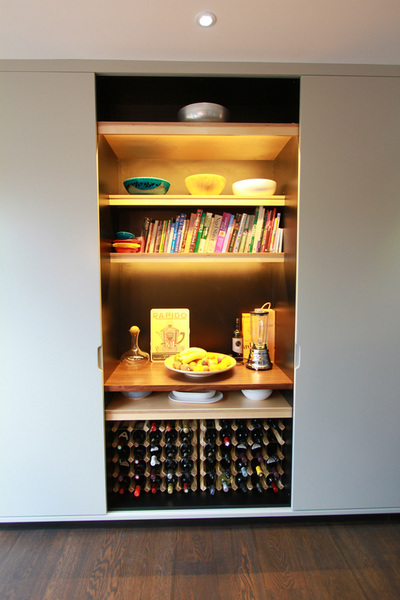 The sliding doors allow for alternative uses and the internal cabinet lights make the shelf space an interesting aspect showcasing the beautiful veneer.